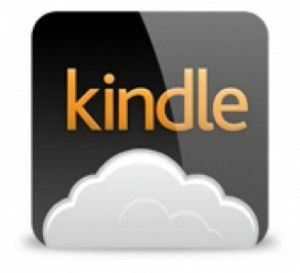 Recently, Amazon launched their Kindle Cloud Reader, which allows Kindle users to read their books in many of their favorite browsers. However, one browser that was missing from the list was Mozilla Firefox. From day one, the HTML 5 based service supported Google Chrome, and the mobile and desktop version of Safari. Seeing as Firefox is one of the more popular browsers available, leaving it off the list of supported browsers seemed like an odd choice. Another thing that is extremely odd about this is that Firefox is one of the browsers at the forefront of HTML 5 support. Now, only two months after the first launch of the service, Firefox is officially supported. This is great news for Kindle users who are loyal to Firefox, because sometimes a computer with a web browser is the only way to get access to your book library. I can’t imagine what caused the delay, but none the less, the wait is over, so all Kindle users who support Firefox can join the rest of us in reading our favorite books. At this point, Internet Explorer still isn’t supported, and neither are many other mobile devices such as the BlackBerry PlayBook. However, because of the adaptability of HTML 5, it shouldn’t be long before Amazon adds support for these as well. Explore more about: Amazon Kindle, Ebooks, HTML5, Mozilla, Mozilla Firefox, Reading.